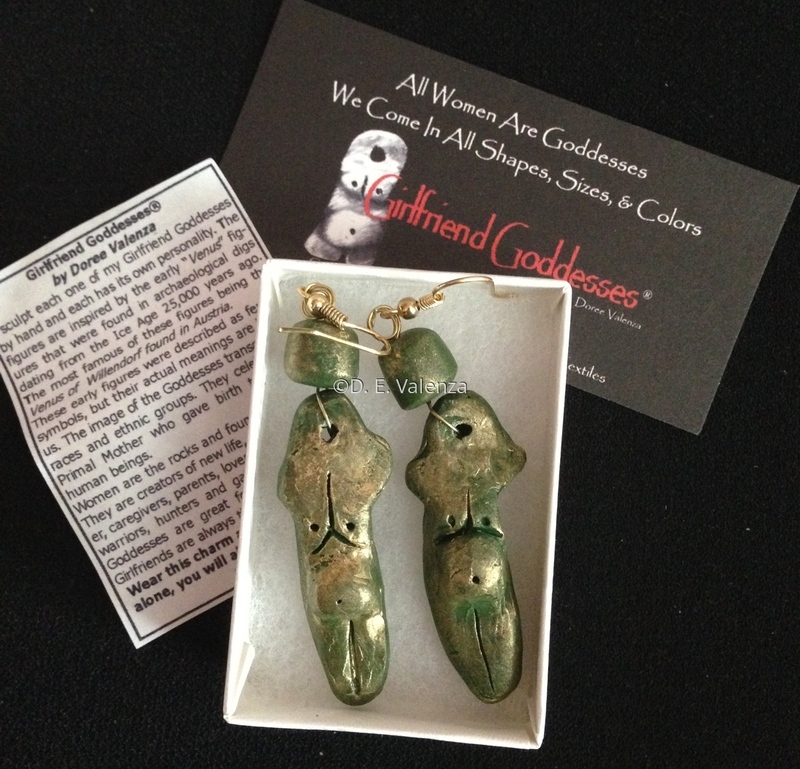 OOAK hand sculpted Girlfriend Goddesses® Earrings. History Card about the goddesses. They hang about 2” long.